The Democratic Party of Santa Barbara County (DPSBC) invites candidates to apply for its endorsement for the November 2018 election. The DPSBC encourages all democratic candidates to participate in our great electoral process. Voting by mail begins in early October 2018. This timing gives endorsed candidates credibility and enough time to seek other endorsements, meet with voters and discuss the issues before voting begins. 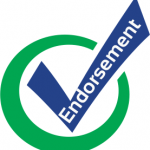 The first step to seeking an endorsement is to contact the Endorsements and Resolutions Chair, Joe Pierre at jpierre3@comcast.net and he will walk you through the process. The best way to find out information about the Democratic Party and its endorsement process is to check the web page at http://www.sbdems.org. The following seats are up for election on November 6, 2018 and have been posted on the web page since December. We look forward to seeing you on the campaign trail.